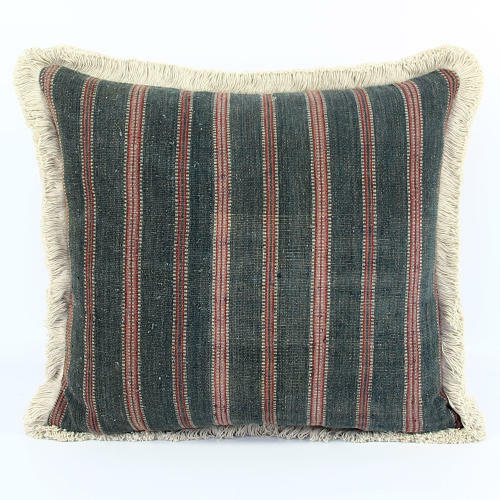 This is a large cushion in dark green and red with a thick natural cotton fringe. It's made from a vintage ikat from the island of Savu, Idonesia and backed with a lovely natural grey vintage hemp. It has a zip closure and feather pad.